Sharrow Festival returns for 21st party! Sharrow Festival, an annual celebration of community and cultural diversity turns the ripe age of 21 this year, and they’ve announced their biggest bash yet to celebrate! The festival is always a popular family day out, with a chance to enjoy a varied line-up of live music, street food and the opportunity take part in a number of activities – but what’s on this year? Here are 5 things not to be missed at this year’s festival. This year FURD are back with their Inflatable Football Pitch. With the World Cup in full swing, it’s a good chance to show off your skills and have a kick about with your mates. A Legal Live Graffiti area. Fancy yourself as the next Banksy? Head down to see this outdoor art piece and try your hand with the spray paint. 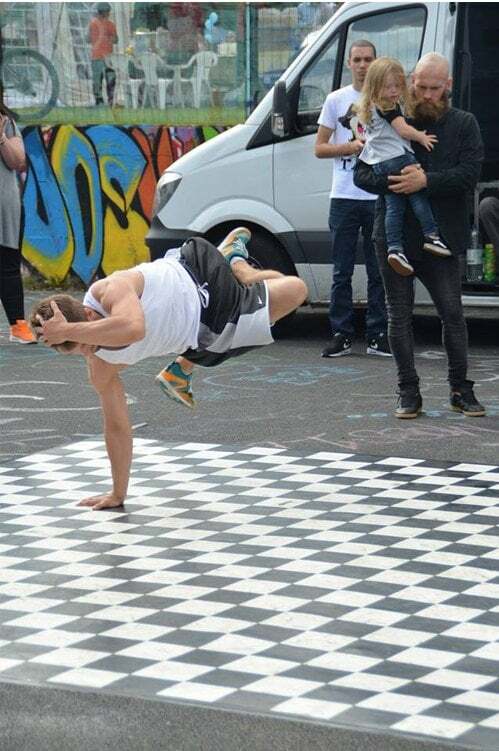 This activity will highlight Sheffield’s urban art scene and offer a chance to try your hand at this skilled art form. Street Food Galore. You’ll be spoilt for choice with a selection of cuisines including Mexican, Thai, Caribbean and wood fired pizzas. There is something for everybody, and if you can’t choose? Try a bit of everything, and share each dish with your friends or family. Sheffield Live’s Stage, with a curated selection of DJs, spoken word and dance performances. If you want to see something a little bit different, head down to this stage to catch a glimpse of some of Sheffield’s most talented DJs and artists. The Beer Engine (Cemetery Rd, S11 8FJ) – Disco Funk from The Soul Trap and Superfly. The Albion (London Rd, S2 4LE) – Headcharge v Junglist Alliance. The Clubhouse (London Rd, S2 4LA) – Reggae. The Cremorne (London Rd, S24LH) – Live Bands including Velcro Teddy Bears and The Strays. Head down to Mount Pleasant Park on Abbeydale Road on Saturday 7th July to enjoy a day in the sun and a chance to enjoy the best of what Sheffield has to offer culturally. For more information head to the Sharrow Festival Website, and see here for volunteering enquiries.